Inna Anisimova (before Alexeeva) is having her greatest and most demanding year: her third baby, Anton, was born early September, PR & Partner continues growing and she laureated in the Global IESE MBA in June in Barcelona, after a year and a half of hard work including spending 18 weeks in 8 cities of the 5 continents. She decided also to change her name for the one of her husband, Anisimova instead of Alexeeva. PR Partner, continues to be one of the top 10 PR agencies in Russia overcoming all the sanctions and problems that Russia suffers and a proud and proactive member of IPRN. In the year of women, Inna is the IPRN candidate for top honors. 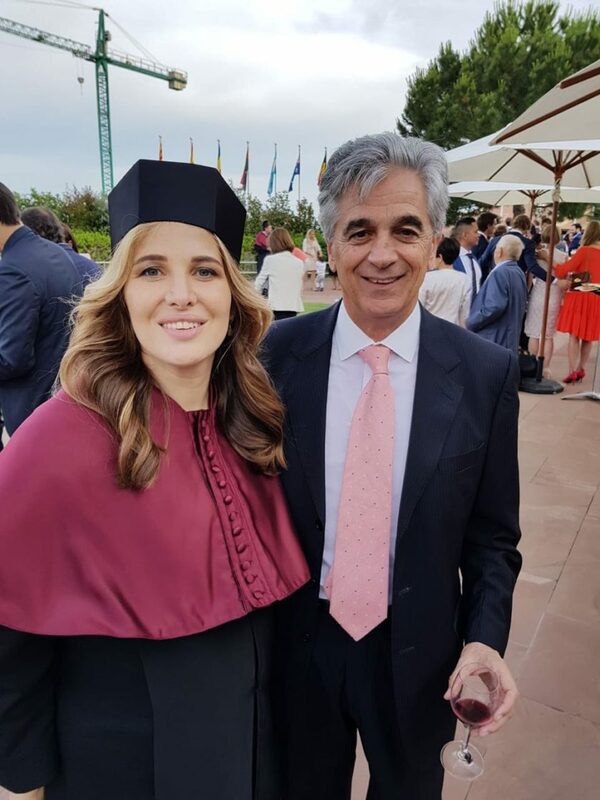 In the photo, Inna Anisimova in her IESE graduation in Barcelona with Luis Canomanuel, General Secretary of IPRN.